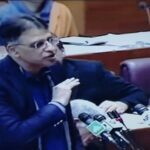 ISLAMABAD: Finance Minister Asad Umar on Wednesday said that if the government introduces any tax amnesty scheme then it will not applicable for public office holders. While talking to media the finance minister attributed to negative revenue collection growth to low performance of Federal Board of Revenue (FBR) and many other factors. He said that reduction in petroleum prices and decrease in imports had also impacted the revenue collection. 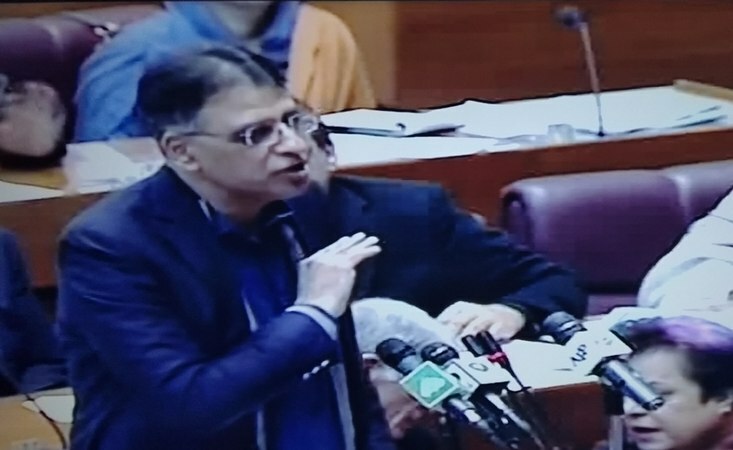 He said devaluation of currency was linked with economic policies, saying that Pakistani rupee’s depreciated against dollar was due to the policies of the previous government, adding the dollar had reached to Rs127 during the PML-N’s government last year. The finance minister said that the revenue collection target of Rs8,000 billion by 2023 was a realistic one as it was evaluated on ground realities. Commenting on Debt to GDP ratio, he said it had gone beyond the Fiscal Responsibility and Debt Limitation (FRDL). The finance minister said that the government would reduce it gradually and put it in a better position at the completion of its tenure in 2023. He said after containing the debt to GDP ratio at its existing level, the government would take measures to bring it downwards. However, the FRDL limits would not even be met by 2023, he added. The minister said there had been one-third reduction in external borrowings as debt acquired during July-March (2018-19) was recorded at $4.2 billion compared to $6.7 billion borrowed by the Pakistan Muslim League government during July-March (2017-18). He, however, admitted that there was an increase in domestic borrowings by the incumbent government during the period under review, compared to the borrowings of same period of last year. However, he said the cumulative borrowings were more or less the same by the current government compared to the last year of previous regime. The finance minister explained the reason to go for International Monetary Fund (IMF) loan program to overcome balance of payment issues. He said no doubt, switching to IMF put burden on economy and people, but it was required for stabilization, adding if the government had opted otherwise, it would be counterproductive and put more burden on the economy. On the occasion, State minister for Revenues, Hammad Azhar said that the number of income tax return filers increased by 34 percent due to the government had launched an awareness campaign to promote tax culture in December 2018. He said the government was endeavoring to resolve the problems of FBR by improving and regulating the audit system, besides promoting technological driven interferences in the collection system.